Via Vai in Astoria, NY. Culinary and decorative magic come together at this husband and wife gem of an Italian restaurant. Chef Antonio Morichini believes in serving food that utilizes simple time-honored ingredients but is also big on flavor. Locally sourced veggies, only the best cuts of meat and pasta made in-house, along with the very creative spin that chef Tony puts on every dish, making for a memorable experience. The Roman influence is everywhere, from imported Italian coffees and teas to traditional Morichini family recipes that go back generations. At Via Vai in Astoria, traditional Italian cooking meets innovation for some very tasty results. The chef prides himself on using only the freshest ingredients, from meats and fish to veggies, cheeses and seasonings. His spectacular, critically acclaimed pasta is hand-made. Chef Antonio Morichini rose through the ranks in some of Rome's most prestigious Michelin-starred restaurants. As sous chef and chef de cuisine at Il Convivio, Acquolina and Glass Hosteria Chef Morichini made quite a name for himself. 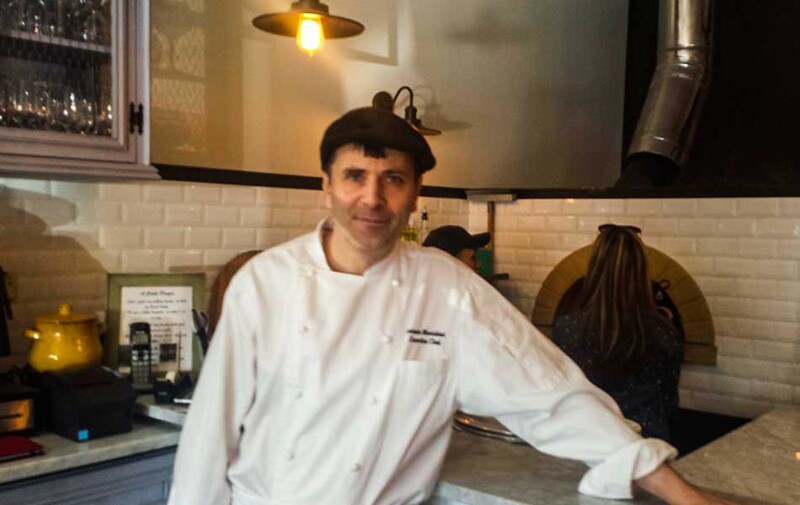 Chef Antonio cooks for his customers in Astoria using the same methods of preparation that established him as one of Rome's hot young up and coming chefs, not that many years ago. He has even imported an amazing oven from Italy, to make his delicious pizza. Chef's signature dish and the one that has foodies flocking to Via Vai from Brooklyn and Manhattan as well as from all over Queens is the Agnello. 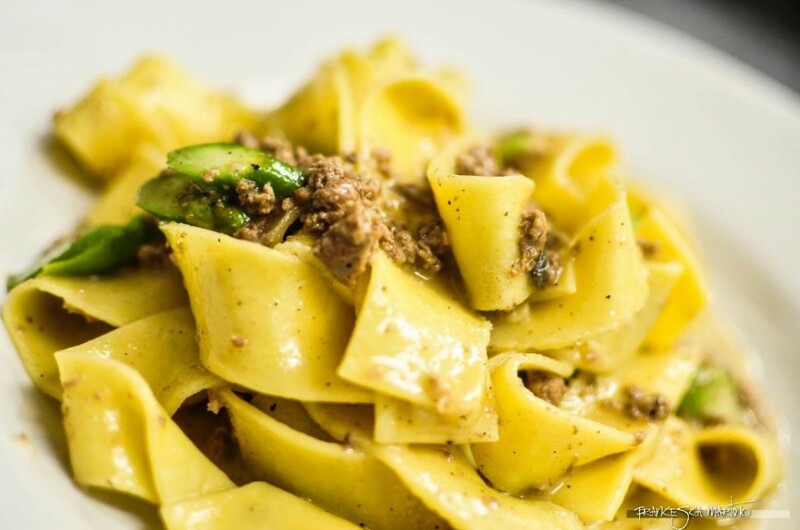 This savory dish consists of house-made pappardelle noodles with a lamb ragu, asparagus and truffle oil. The portion is just right and the flavors are heavenly. The stuffed gnocchi is a recent addition to the menu here and the Branzino is always wildly popular. Antonio's thin crust Roman-style pizza is light and satisfying. 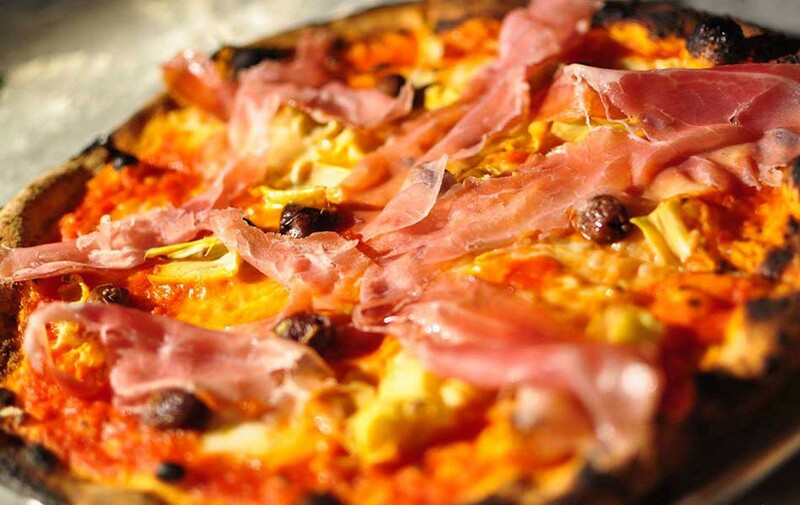 Regulars are addicted to the Prosciutto pie with fior di latte, the Gorgonzola pizza and the incredible capricciosa. This succulent but light pizza is topped with marinated artichokes, prosciutto, olives, sliced hard-boiled eggs, fior di latte and tomato sauce. Currently, Via Vai is offering a delicious $14 lunch special which is available weekdays only. Customers receive their choice of farro and fagioli soup or Arugula or mixed salad to start things off. Entrée selections include pasta al Pomodoro, grilled chicken, chicken parm, a personal Margherita or Napoletana pie or the chef's famous lasagnetta which are mini pieces of Antonio's version of lasagna. It is a must-try dish. The signature dessert here is the Torta Di Mele, which is a moist piece of apple cake dressed with cinnamon, raisins and pine nuts with a scoop of vanilla ice cream as the crowning touch. The tortino also garners rave reviews. This is a very special slice of chocolate cake with a warm raspberry filling. Surprisingly the Tiramisu is just average, nothing to write home about. But, chef's extraordinary semifreddo di zabaione (house-made soft ice cream with toasted pistachios and a balsamic reduction) more than makes up for it. You can finish off your meal with either an espresso or coffee Americano. All things considered, you cannot help but come away from Via Vai with a great big smile on your face. If you have the opportunity, to engage the owner, chef Antonio in conversation. He is a charming and very interesting person, as is his wife and business partner, Cynthia. Both Cynthia and Antonio personify the charm that is in the DNA of most Italians. At the helm of Via Vai in Astoria, Cynthia and Antonio Morichini have continued to dazzle foodies at their lovely restaurant since opening their doors in 2014. Featuring a menu of traditional Italian favorites that have been totally re-invented by Executive chef Antonio Tony Morichini, Via Vai is known for its emphasis on lighter fare made with fresh, seasonal ingredients. Chef Tony presents a creative and contemporary take on Italian cuisine. Grandma's cooking was to die for. But, let's face it, you always felt a little guilty and very bloated after enjoying heavy dishes such as lasagna, baked Ziti or chicken parmesan. That is not going to be a problem at Via Vai, where the dishes are light and smartly portioned. 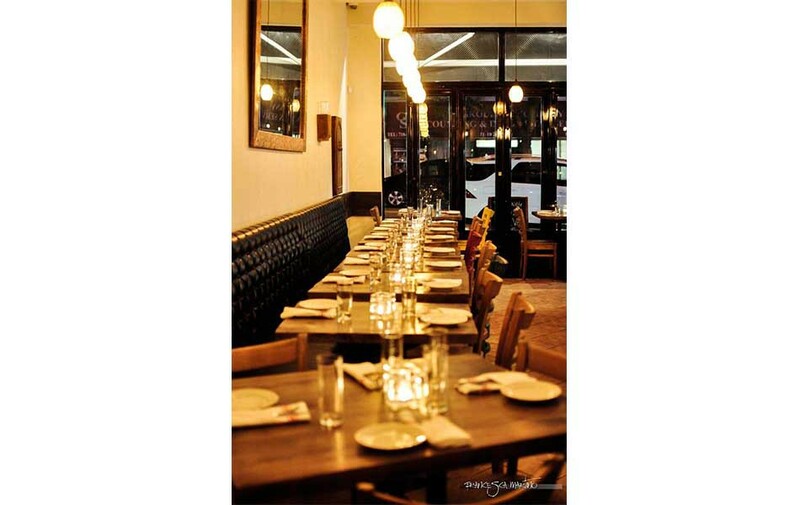 Via Vai's reputation, over the past year, has extended even beyond the Astoria neighborhood where Chef Tonys' wife, Cynthia, grew up. 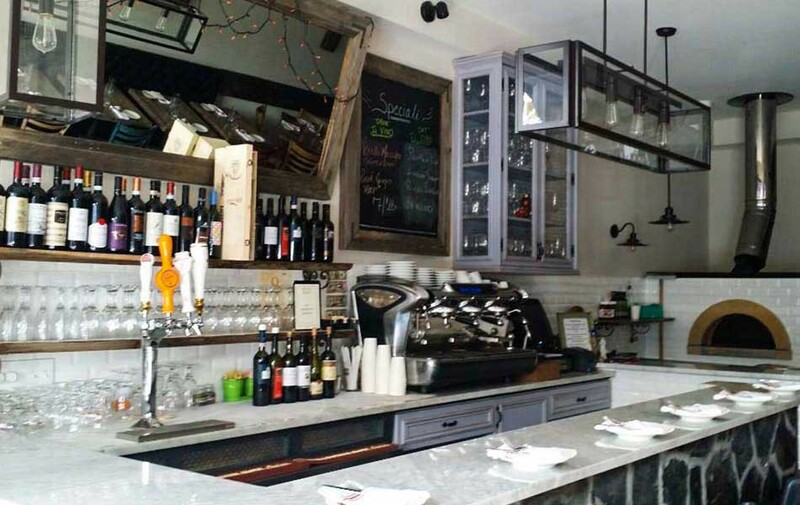 The restaurant was recently featured on WABC-TV's Neighborhood Eats show. Lauren Glassberg interviewed Chef Tony and sampled his delicious food. To add to all of the buzz surrounding Via Vai, Chef Tony hosted a special tasting with none other than Tony Tantillo, from the show Dining Deals on CBS. Tony Tantillo loved both the food and the value that Via Vai gives its customers. With a focus on local, seasonal ingredients, Antonio Morichini has not forgotten his Italian roots. Originally from Rome, Chef Tony uses only Prosciutto, fior di latte Mozzarella, Pecorino Romano and Parmigiano cheeses imported from Italy. Yes, you can most definitely taste the difference. Tony is constantly experimenting, adding a new dish or two to the menu, every so often. Almost all of his kinds of pasta are handcrafted in-house. His signature pasta dish would have to be the Pumpkin and Rosemary Gnocchi with Taleggio cheese and honey glazed chestnuts. A very close second, in terms of popularity with Via Vai's regular customers, is the Vongole, a dish comprised of made from scratch linguine with fresh clams, smoked Zucchini, basil and lemon zest. Recently added to the menu as an appetizer are Lasagnetta. These delectable bites are mini lasagnas consisting of housemade lasagna noodles, porcini mushrooms, smoked mozzarella and Beschamel. This dish is a treat that is totally unique and totally Chef Tony. His signature appetizer, by the way, is the wildly popular Polpette (meatballs). You could and perhaps, should, make a meal out of them. 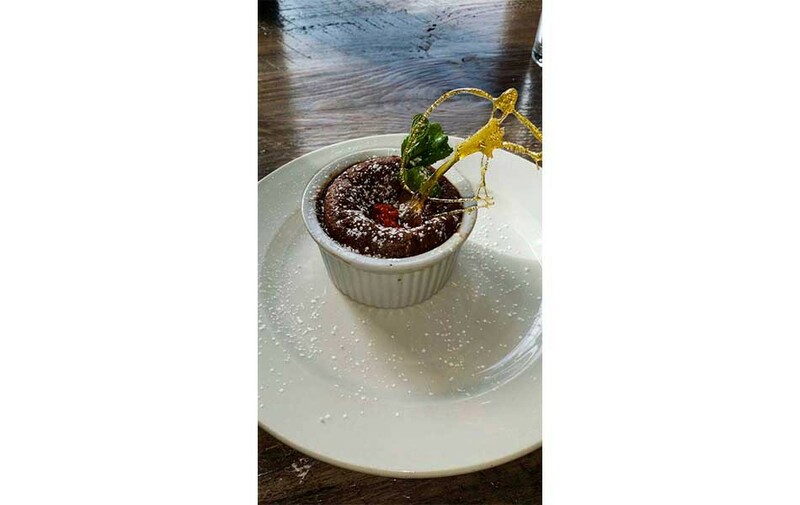 Don't leave Via Vai without trying one of Tony's sweet endings, or, as they say in Italy, Dolci. Both the Panna Cotta and Tiramisu are excellent choices. Via Vai captures the Italian spirit of hospitality and family as few restaurants do. Enjoy life a little better when you dine at Via Vai. Via Vai Astoria, NY. Since 1959, four generations of the owner's family have called Astoria home. Antonio’s wife Cynthia spent her early years with her parents, grandparents, aunt, uncle and brother in a house just a few blocks away from Via Vai. Antonio and Cynthia met while she was working in Rome, and after starting their family in Italy they moved back into that same Astoria house with their own small children. 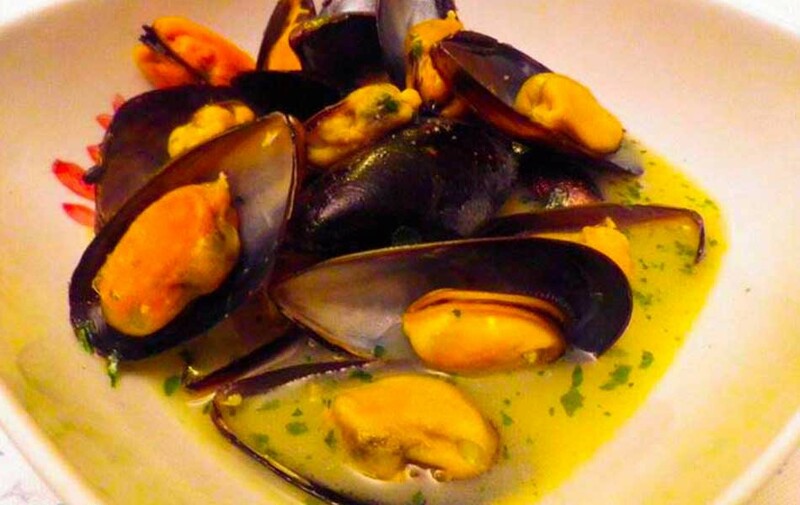 Their love of Astoria made it the perfect choice for opening their first restaurant, Via Vai. VIA VAI– what does it mean? It is a popular way of expressing conviviality and movement -- people passing by and coming together. That is what Morichini’s Via Vai is all about. The restaurant is a concept of quality and excellent food, in a space where people come together to enjoy the feel of real Italy in Astoria. Whether it’s the food of yesterday – Italian traditional seeped in history and culture (= “VIA”), or the food of today and the future – firmly rooted in tradition but with an eye towards innovation (= “VAI”) – our food is genuine, from the heart and for every palate. Been here twice. Feels authentic Italian in look and decor. Food needs some improvement but has the potential to be extraordinary. Pizza with buffalo mozzarella is hard to beat though.